While free agency has grown in importance in mixed martial arts, the concept of a trade between organizations has never fully made sense because of competition and logistics. But in the current 'anything is possible' era of sports entertainment, a report Wednesday has the UFC and Asia's ONE Fighting Championship discussing a historic trade that would send former UFC flyweight champion Demetrious Johnson to ONE for former Bellator champion and currently retired Ben Askren. Citing multiple sources, ESPN's Ariel Helwani reported the news that was first discussed on MMA Junkie Radio. He said that a deal is on the table, but that nothing has been finalized. It's unknown as of this time who proposed what and when. Johnson (pictured) recently saw his historic run as champion ended at the hands of Henry Cejudo, and has been at odds with UFC president Dana White over the last two years on how he's promoted and his relationship with the organization. He's been in the UFC since 2011 following the WEC merger. His head coach Matt Hume is VP of Operations for ONE, so, if a deal was done, that conflict of interest would need to be resolved. Askren has also been at odds with White over the years, but has never competed in the UFC. After the undefeated welterweight split with Bellator near the end of the Bjorn Rebney era, he went to ONE in May 2014 and went unbeaten in six fights, retiring in November 2017. On social media, the possibility of Askren in UFC increased this year but he still is under contract with ONE. 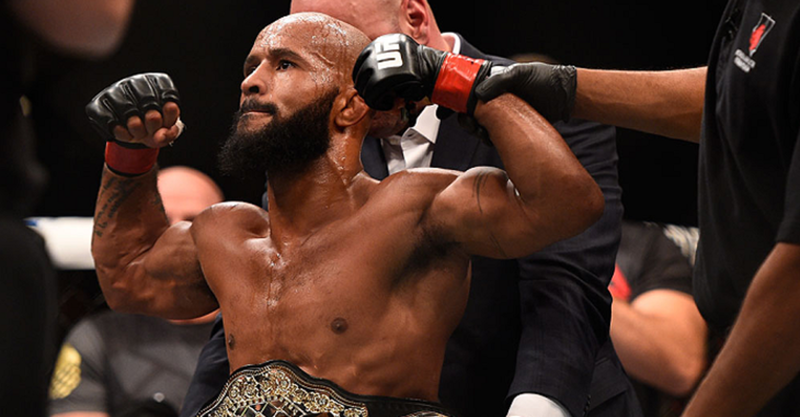 ONE recently made waves with the signing of former UFC and Bellator champion Eddie Alvarez and while the promotion doesn't have a firm presence in the U.S., moves like these would perhaps indicate something bigger on the horizon.